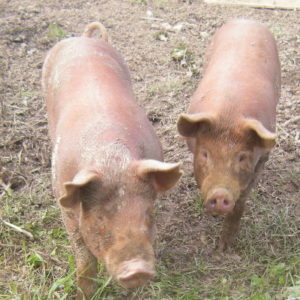 Now we buy our piglets in from farms which raise their pigs outdoors. Know why is this important? 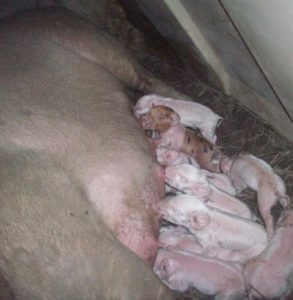 It is important because we also raise our pigs outside, with three-wall roofed shelters. 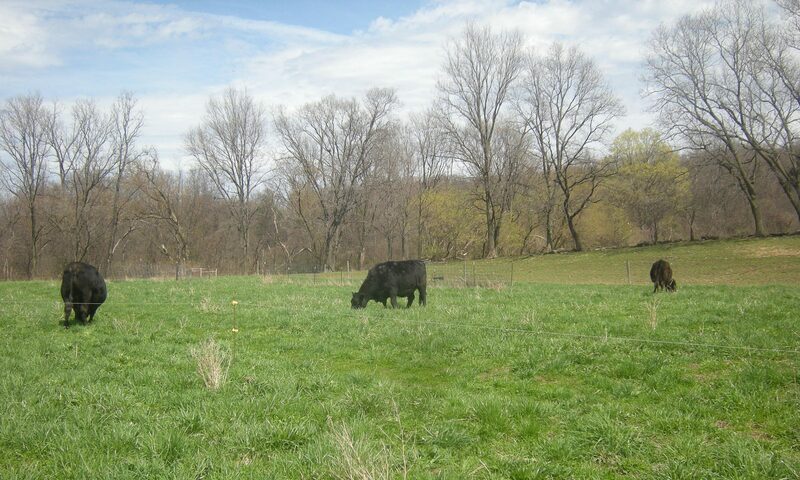 When possible, we rotate them to fresh pieces of pasture, which they love to root up as they look for grubs or other edibles. In case you have not heard, pigs cannot sweat. So they wallow in muddy spots to get moisture on their bodies as a way to stay cool. This, and their wild eating habits, have helped in earning a hog’s abode the name “pigsty.” But unlike other farm animals, pigs pick out one spot of the pen as their bathroom, and will consistently do their business there. We now purchase non-GMO grains exclusively. This helps to limit our animals’ exposure to glyphosate and other harsh pesticides that are so common in the food stream. But our pigs also get excess vegetables and other vegetation.